There is great pizza and mediocre pizza. It’s that black and white – or should we say red and white? It should come as no surprise that there is a whole lot more mediocre pizza than there is great pizza. We’ll drive an hour for a great pizza, tell people about it, and keep going back for more. And there is great marketing and mediocre marketing. It’s that red and white too. We like great marketing as much as we like great pizza. It’s a shame that there’s not more of the great stuff, but you’ll easily find an endless buffet of the mediocrity that looks the same, smells the same, and tastes the same. I’m talking about both pizza and marketing. What’s the problem? It’s simple. In pizza making, anyone can make dough, add tomato sauce, throw on some cheese, and bake a 16 inch pie. In marketing, anyone can create collateral, add it to a website, throw on some email, and bake a campaign. If we all have access to the same resources for marketing or pizza, then why do we have this dichotomy of great and mediocre? There are two things that make the difference: the ingredients and the baker. Let’s look at each from a marketing perspective. Marketing ingredients. Great, compelling, differentiated content is mandatory. Why? Because bad cheese tastes like plastic. And bad content smells like bad cheese. So, why do so many marketing organizations produce such bad content? I’ll argue that many marketers really don’t know their products, their customers, or their markets. I’ve made this case before. This is our farm, our dairy, our mill; this is where we get our ingredients. Marketing Baker. The true pizza artisan is known as a pizzaiolo. Great ingredients don’t guarantee great results. That’s where the pizzaiolo comes in. He or she picks the ingredients, blends them in creative ways, and delivers an extraordinary customer experience. So, does your marketing organization seem like a second-rate pizza joint? Is the “marketing pizza” undifferentiated and uninspired? Want to be great? You better take a hard look at the ingredients and the people in the kitchen. Before you pull out the pizza cutter, remember that producing unforgettable results starts at the top. Yes, dear CEO, that means you. If you can’t differentiate between great and mediocre, don’t be surprised when your prospects and customers can. Go get some great ingredients and find a sensational pizzaiolo. P.S. 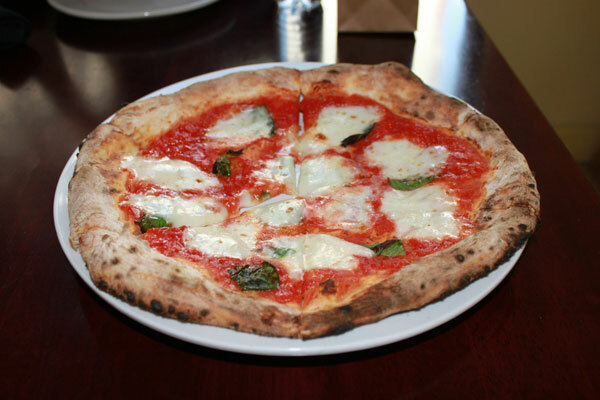 Check out The Two Palaverer post on a great pizza establishment in New Bedford, MA. Now, that’s what I’m talkin’ about! Anyone who can turn food into a blog post on marketing has my attention. And to equate great pizza with great marketing earns my undying love and devotion! Alright, now back to business. When I worked as a marketing and development director at a nonprofit organization, I was often left out of strategy meetings — especially for programs and, surprisingly enough, new initiatives. I would ask buckets of questions about the program descriptions I was given. I was always told that I didn’t need to know so many details and informed that I was just to post the descriptions to the website. Marketing was undervalued — even though it is critical to help fill seats and raise money. So, my advice for the dear CEO is to both educate your marketing staff about your products and services and take the time to learn from your marketing staff as well. It’s true that you don’t need to be the best marketer in the world, but you do need to know enough to be able to identify one. Here’s to the sensational pizzaiolo! Thanks Erica. Having spent time in both the marketing business and the pizza business, I realized that linking them was easier than I previously thought. The parallels were surprising. You raise a very important point: if the marketing organization is not aligned with corporate strategy, then its efforts are compromised. A recent study (http://www.fournaisegroup.com/Marketers-Lack-Credibility.asp?_fwaHound=13338182_12185_13338182_0_0_0_0) claimed that 73% of CEOs think marketers lack credibility. I wonder how many of those CEOs articulated strategic direction to not only their marketing teams, but to their entire organization. Maybe less than half. But it’s not just the CEO; what about the head of marketing? In a small organization, such as many non-profits, nobody fills that seat. In larger organizations, the CMOs and VPs of Marketing better step up. It’s time for a different mindset – on everyone’s part.